It is most unfortunate that international media have picked up on the narcissistic ramblings of a Ghanaian spiritualist who evidently prefers enriching his own coffers and embellishing his own name to the wellbeing and reputation of his nation. 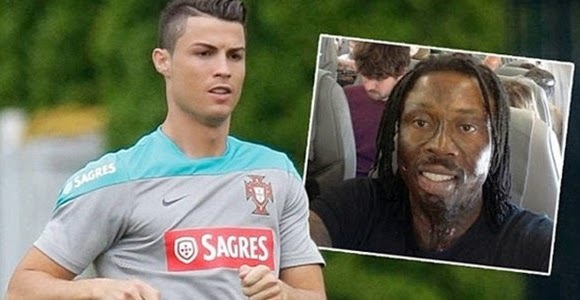 I am referring to Nana Kwaku Bonsam, touted to be Ghana’s foremost spiritualist, who haphazardly decided to besmirch Ghana’s name before the eyes of the world by claiming his ‘devilish powers’ are behind the current injury of Portugal star and arguably the world’s best player, Cristiano Ronaldo. According to reports, Bonsam claims to have conjured a special powder from his gods which was placed around an image and caricature of Ronaldo, rendering his present injury untreatable by conventional medics and leaving his World Cup hopes tattered. My grouse with this report, apart from its clear ludicrousness, is the impression it will undoubtedly create in the minds of people towards Ghana – as a nation crawling in ‘fetish priests’ with ‘black magic’. With such reports being bandied about, if Ghana excels in the tournament, some will unscrupulously attribute it to some ‘juju’ at work. If the Black Stars do overcome Portugal come June 26th, people will unfortunately play up the influence of devilish power rather than the skill, determination and prowess of our boys. My question to Kwaku is this – if indeed you are so ‘powerful’, why can’t you empower the current Ghanaian squad to face their opponents? What is your business with CR7 alone when there are plenty of other stars capable of inflicting defeat on Ghana? What of Mesut Özil or Thomas Müller from Germany’s formidable squad in Ghana’s group of death? The regrettable saga brings to mind the tale of a team in India that was banned after the ridiculous score line led officials to investigate the use of ‘charms’ by the team. Perhaps Bonsam is furtively advocating for a similar sanction for Ghana! I am expecting Appiah and Ghanaian officials to debunk this report and disgrace this self-styled magician – unless Bonsam really is the Black Star’s ‘spiritual advisor’ as he has previously boasted. If this is the case, Ghana deserves nothing more than the ridicule and perhaps reprimand that will accompany such superstitious garbage. On a related note, isn’t this the same witchdoctor who visited the Vatican City a fortnight ago with the expressed purpose of reporting Nigerian Prophet T.B. Joshua to Pope Francis? If there is anyone Bonsam should destroy or inflict injury upon, it should be Joshua since they are operating with evidently opposite forces. Kwaku is ‘powerful’ enough to spiritually inflict Ronaldo thousands of miles away in Portugal but can’t travel a few miles across the border to wreak vengeance on his Nigerian adversary T.B. Joshua??? Nonsense. I cannot but conclude that Bonsam is nothing more than a rambling popularity seeker who is using Cristiano’s predicament to advertise his counterfeit cures, unashamedly tainting the name of his nation in the process. Ghana is greater than any individual. If we do well in Brazil, it will be due to skill, hard work and unwavering commitment to God and the mantra of fair play, not the sacrificed dogs of a scarred herbalist whose mouth is bigger than his means. Dis is exactly wat it has don. 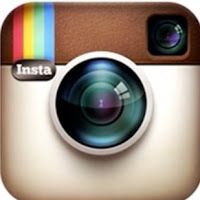 It appears dat som coun3s hav finally overtaken Nigeria. rubbish who is this agbaya,abegi stay ur lane. Not just his face is fried, his brain is fried as well.